With 19 days to go before the Lunar New Year, brands big and small have been unveiling their very own spin on all things porcine, since this year is also the Year of the Pig. And with such a varied selection up for grabs, one is truly spoilt for choice. Starting with this piece from Cult Gaia, the Babe Bag (USD148) is literally shaped like a pig, right down to a curly tail, pointed nose, flappy ears and four legs. Made entirely out of straw, the bag measures 33 cm by 18 cm and is furnished with a strap so you can carry it easily across the shoulder. 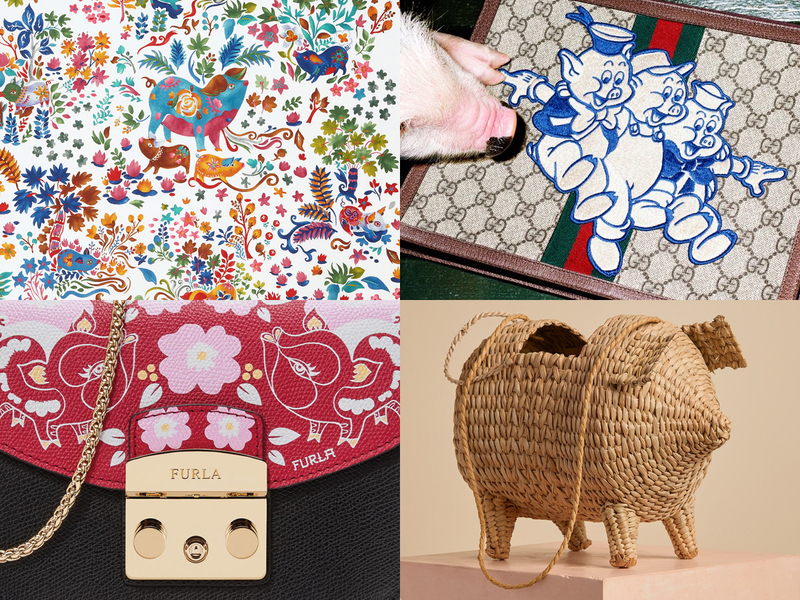 Furla, on the other hand, has chosen to decorate its iconic Metropolis S Crossbody (SGD745) with an oriental print of illustrated flowers, petals and pigs. You can purchase the bag on its own, or get your hands on the printed interchangeable flap (SGD205) and attach it onto your existing Metropolis bag from the MyPlayFurla line. Now, if you’re looking for a more whimsical take, you can always count on Gucci, which has a pretty great selection of products that feature Disney’s Three Little Pigs. You can expect to find leather goods from the existing GG Ophidia range (GG logo with web stripe) that’s decked out with a playful Three Little Pigs patch on the other side, providing a cheeky take on an otherwise classic piece from Gucci. Prices start from SGD680 for the billfold wallet to SGD2170 for the backpack and SGD2510 for the tote, all of which are now available for purchase across Gucci boutiques across the island. Lastly, Salvatore Ferragamo has dedicated a limited-edition capsule collection comprising a range of accessories, leather goods and shoes celebrating the occasion. A noteworthy piece would be the Auspicious Pig foulard (SGD550) that’s created specially for the line – a silk square that features an array of pigs amongst blossoming flowers, all of which are elements that signify good fortune and prosperity.